Is your man a runner? Or, maybe he loves to spend time at the gym? If so, we have the PERFECT suggestion from one of our Dah-ling readers to brighten his day! 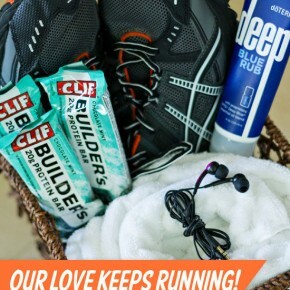 Check out this fun runner gift basket! WELCOME to another 'Love on the Run' idea! If you are new to our Love on the Run posts, click RIGHT HERE to see what it's all about. 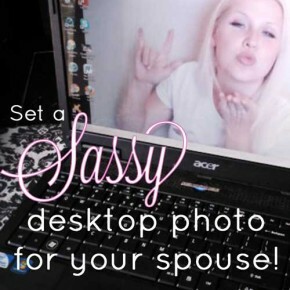 I am proud to present to you, our Love on the Run tip #39, The SASSY Desktop Photo. It's the end of June and officially SUMMER which means H-O-T! Aaaaahhhh, summer...I just LOVE it! 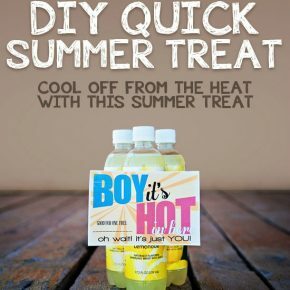 I thought it would be perfect to do something easy and thoughtful for your spouse to help them cool off a bit :). Why not do some special gifts for him for summer?